REACHING HAND's U.S. debut, THRESHOLD, is now availabe exclusively through the Thorp Store as a digital download. Grab an MP3 of the title track and buy the EP, T-Shirt, or Bundle today! 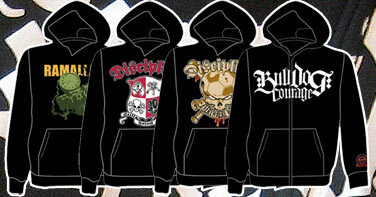 Our most popular shirt designs from Discipline and Ramallah are now available as pullover hoodies. Plus, we've go a brand new "American Stormtrooper" zipup from Bulldog Courage. See more in our store. 196057 posts in 19851 topics by 24879 members. Or if Twitter is takin' forever, click here.